I first became involved in this flight when a friend of the aircraft owner posted a message on the PPRuNe forums asking for a pilot who was interested in a flight to Egypt. 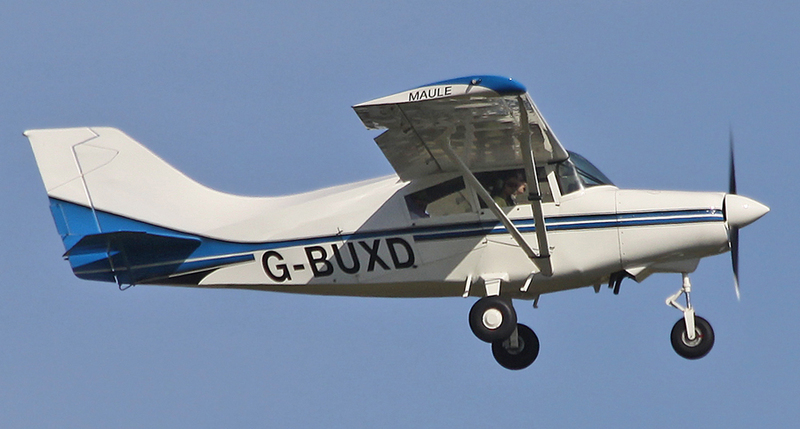 The owner wished to fly his aircraft, a Maule MXT-7-160, into Sudan. Given that he was reaching a distinguished age, he did not wish to tire himself out in flying all the way there from the UK. He needed a pilot to fly the aircraft down and meet him in Luxor, where he would join the flight by commercial airline. I and a few other pilots expressed interest, and in late December 2010 myself and one other pilot traveled to Popham Airfield to meet the owner. The aircraft was in the hanger, awaiting some new parts to make it airworthy, but we went and had a look around it, and discussed the proposed flight. The original plan had been to fly the aircraft on to Kenya after visiting Sudan, and sell it there, but it turned out that there was no market in Kenya for a low-powered variant of the Maule, which is what this was. Hence, it was decided that the aircraft should return to the UK again after visiting Sudan. Originally the idea was for one pilot to fly it down, and another to fly it back; however, all of the other pilots dropped out for one reason or another, and I elected to fly the entire journey myself. The return route would be different to the outbound route, so I would after all be covering new ground on the way back. 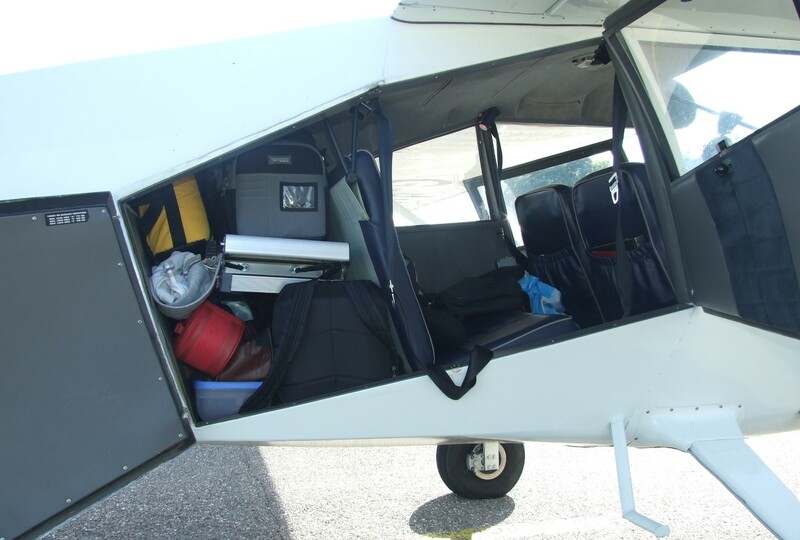 The flight was originally planned for February 2011, to coincide with a trip being planned by Prepare2Go, who were taking 7 or 8 light aircraft from Europe to South Africa and back. They would stop at Wadi Halfa in Sudan, where we wanted to visit, and so we could accompany them on the outbound route. This would offer an advantage in terms of companion aircraft, and also the local knowledge and expertise of Sam from Prepare2Go. World events intervened, however, and when the “Trans-African Safari” set off Egypt had begun their revolution and the airspace was closed. The safari rerouted through Libya (only just making it out before it followed in the footsteps of Egypt, and we were left to reschedule our flight for later in the year, when the political situation had died down. A date was set for a June 2nd departure, and planning began in earnest. It soon became clear that the forced delay had been a blessing. There was a lot to do! Firstly, the aircraft; the new engine parts were fitted, but this still left a lot of work to be done. By the time we came to depart, additional fuel tanks had been installed in the wings (offering an extra 4 hours flying time), the fuel pump had been replaced and the radio repaired. A “cigarette-lighter” style power point was also fitted to the panel to power our GPS unit. GA in Egypt is very expensive and difficult unless you have good contacts there. Fortunately we did, in the shape of Eddie and Ahmed, two Cairo residents who have made it their mission to promote GA in Egypt by assisting visiting pilots with every element of their time in the country. They provided us guidance in which airports to visit, how to avoid outrageous fees, which handling agents to choose, and even assistance in organising hotels and acquiring fuel! Flight through Southern Europe, and especially once you hit Africa, can be made difficult by the fuel situation. Avgas is not available in many locations; just 6 or 7 airports in Greece stock it, and 2 in Egypt. A number of these airports require prior permission to visit, and in Egypt you really need a handling agent to assist you at the airport, not to mention ensure that unscrupulous officials don’t charge you higher than normal fees! For flight in Egypt and Sudan you need special permits for each flight; in Egypt this was arranged by our handling agents. In Sudan, we had to arrange even more; Wadi Halfa is not an international airport, and therefore customs and immigration had to be specially arranged in addition to the permit. This was done by Prepare2Go. The visa requirements should be carefully checked before travelling outside of Europe. Being a British citizen I am able to acquire a visa on arrival in Egypt; and a useful rule in Sudan is that aircraft crew do not require a visa if staying for less than 72 hours. I elected to book hotels online in advance. I found hotels by looking on google maps, or by using a site such as hotels.com. I would check both the hotel website and the booking websites that I found them through in order to find the best rated and, more importantly, the most favourable cancellation policies! In most locations I was able to book hotels that allowed you to cancel before the afternoon of the day of arrival for no charge; ideal for the weather-dependent pilot. Before the flight, I ensured that all required equipment was available, and purchased some new gear. VFR charts were not available for Greece, Egypt, or Sudan, so I acquired some ONC charts, and also IFR charts for these areas. Navigation would be done using these charts, the Garmin 430 GPS in the aircraft, and my portable Garmin GPSMAP 296. In addition to these items, we would be carrying a hand-held VHF radio for emergencies, as well as a Personal Locator Beacon (PLB). A PLB can be activated in event of an accident and broadcasts a GPS-derived location and distress call via satellite to the emergency services. As we would be flying over a lot of water, some specialist survival gear was required. For the flight from the UK to Rotterdam I elected to wear my dry suit. The rest of the time, as we’d be over the relatively warm Mediteranean sea, we elected to do without dry suits, and carry life jackets and a life raft, as well as a floating “ditching grab bag” that emergency gear could be packed into and easily taken with us out of the aircraft should the worst occur. Additional safety gear included a lot of fresh water, high-energy food, and chocolate brownies! 10 days before departure, the aircraft was airworthy and I traveled to the UK to fly it. I flew with an instructor, who pointed out some of the peculiarities of the aircraft, and then flew with the owner to a fly-in event an hour away. In total, I flew 3.5 hours in very windy conditions, which was invaluable in becoming comfortable with the aircraft, and well worth doing, even though it was not technically required by the law, or by the insurance. Click here to start reading about the trip, or use one of the links below.